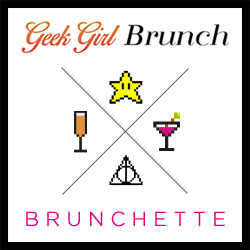 What a great idea, just visited the page of the geek girl brunch bot there isn't one in the Netherlands yet. It sounds like a lot of fun. Thanks, Rachel! I love making my geek coasters!